New Zealand has a very odd biota these days. There are the endemics, which are odd in their own way, and then there introduced species, which are so varied in their type and origin that you get the feeling you’ve arrived at the aftermath of a small zoo that escaped. In many ways, that is exactly what happened. People have moved useful plants and animals around with them as long as they had the wit to do so. They took dogs to Australia, chickens across the Pacific, rabbits to England, horses to the New World, and then brought potatoes back. A housecat in Buenos Aires got its start in Africa, a sheep in Australia to the Middle East, a chicken in Ireland can trace its origin to the jungles of Asia. So that New Zealand would end up with quite a few species of animal not originally found here is hardly surprising of itself. What is surprising is quite how many species did end up here, and how economically unimportant they were. It should surprise no one that someone brought horses, or goats, or chickens. But hedgehogs? Greenfinches? Stoats? What exactly was going on. To understand the impulse, we need to go back to New Zealand in the Victorian era, in the early days of European settlement. New Zealand was to be a British colony through and through, a little bit of England, Scotland and Wales moved across the world. Part of the world they wanted to transport was natural. To Victorian eyes the fauna and flora of New Zealand was strange, both in appearance and in its apparent paucity. There were no mammals, little game, and not many birds either. 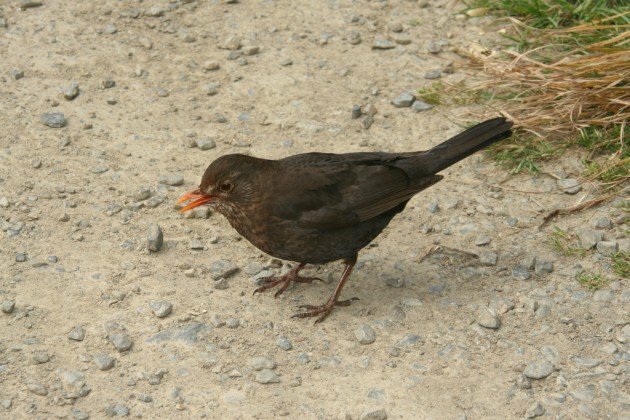 The Eurasian Blackbird was not found in new Zealand before man, but it is now. 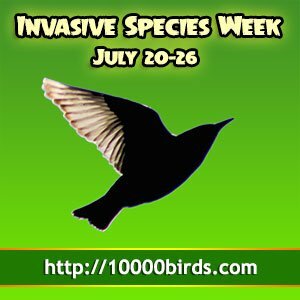 The reasons for this perceived lack of birds are threefold. New Zealand is isolated, and has less species for its size than an equivalent area of continent (this is explained by the theory of island biography). Secondly, New Zealand had already experienced on wave of extinction due to the introduction or rats and human hunting. Finally, New Zealand was a mostly forested island, and the cleared land around the early settlements were particularly quiet because of this. The settlers were not daunted by this inadequacy of New Zealand’s biota. Quite the opposite, the Victorians believed in the power of progress and their own ability to make things better. If New Zealand had a poor fauna, they would enrich it. And enrich it they went about doing. The vehicle for their efforts, after a few independent efforts, were the acclimatisation societies. These actually existed is quite a few places in the world, but it was in New Zealand that they managed the biggest changes to the native ecosystems. First of all they wanted useful species. Useful species were ones you could eat, or hunt, or preferably both, which is why New Zealand had several species of deer, the alpine goat-antelopes known as the Chamois and the Himalayan Tahr introduced. Gamebirds, such as turkeys, pheasants, partridges, quail, Mallards and the like were also brought, as were popular sport fish. Brush-tailed Possums were brought from Australia to help start a fur industry. 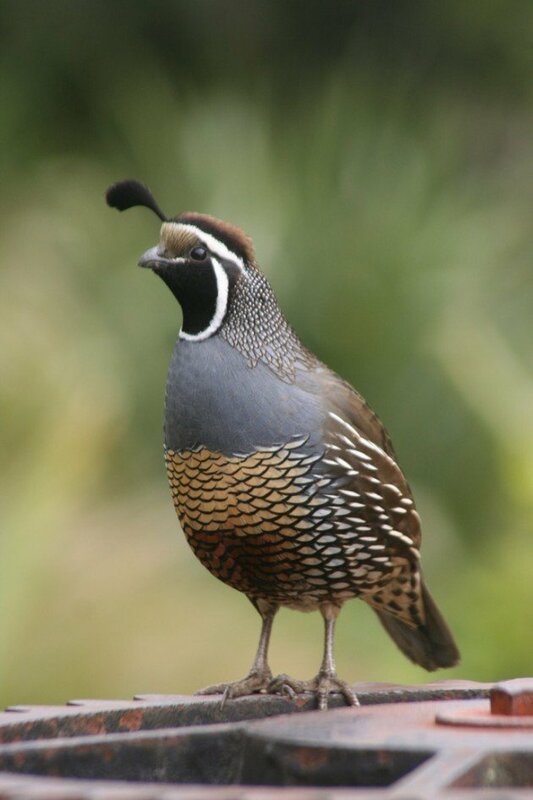 California Quail are familiar birds to West Coast birders of North America, and Kiwis too now. But man cannot live on bread alone, and the homesick settlers wanted more than just game. They wanted reminders of home, and so for many years the societies made a concerted effort to bring British songbirds here. Crowds came to see robins and nightingales brought from the old country, and many sailors supplemented their income by bringing pairs of birds. Some enthusiastic individuals went further than the desire to recreate the old country. One such individual was Sir George Grey, who liberated many animals on his estate (mercifully on an island), including wildebeest, monkeys, zebras, wallabies, deer, cassowaries, emu and kookaburras. It wasn’t long before some of these species started becoming problems. The first to do so was the humble House Sparrow, which was brought to help control caterpillars but soon reached such numbers it was the subject of control itself. 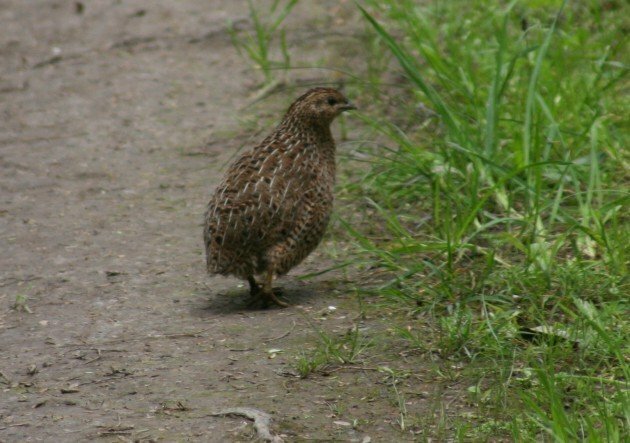 Blackbirds and Song Thrushes were also problematic for fruit growers, but it was rabbits that quickly became enemy number one for the fledgling colony, as they striped the ground bare in farm after farm. To control the rabbit a new wave of species were brought here, and much like the song about the woman eating the spider to get the fly it didn’t end well. Ferrets, stoats and weasels were released and quickly became destructive vermin in their own right, quickly causing the extinction of the Laughing Owl and stymieing efforts to establish game birds. Not everything that was brought and released established itself. Of the 130 or so birds brought to New Zealand 39 managed to establish themselves here. We don’t have monkeys, or wildebeest, or salmon here. Moose died out in the 1930s, and some species never really spread very far. Mercifully introductions here have mostly stopped, and New Zealand works very hard to stop anything new coming, instead of actively encouraging it. But the problems caused by the well-intentioned Victorians and their Acclimatisation Societies remain with us. Possums still strip our native forests, ferrets and stoats and possums still devastate our native birds. Rabbits are still an agricultural pest. The road to ecological hell is paved with good intentions. Fascinating! I knew lots of species had been introduced to NZ but hadn’t heard of the Acclimatisation Societies. Here on the Olympic Peninsula we have lots of invasives out of control, including English Holly, originally planted by people who missed it when they moved from England. What were they thinking! ?